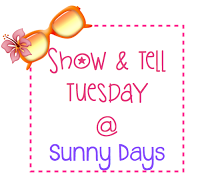 Show and Tell those books your reading! I love Sunny Days in Second Grade linky party, and I love books. What's better? When they're both combined! 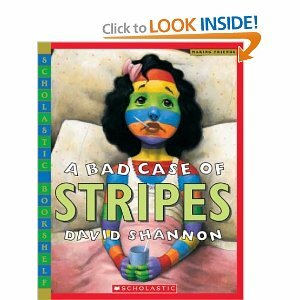 A Bad Case of Stripes by David Shannon. This is always a book I read aloud early on to my kiddos when we talk about theme. It teaches acceptance, and loving yourself, uniqueness, and so many other valuable lessons. It's funny, too, and my kiddos love it! 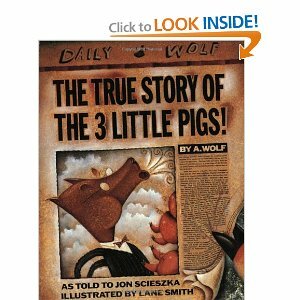 The True Story of the 3 Little Pigs and Yo, Hungry Wolf! 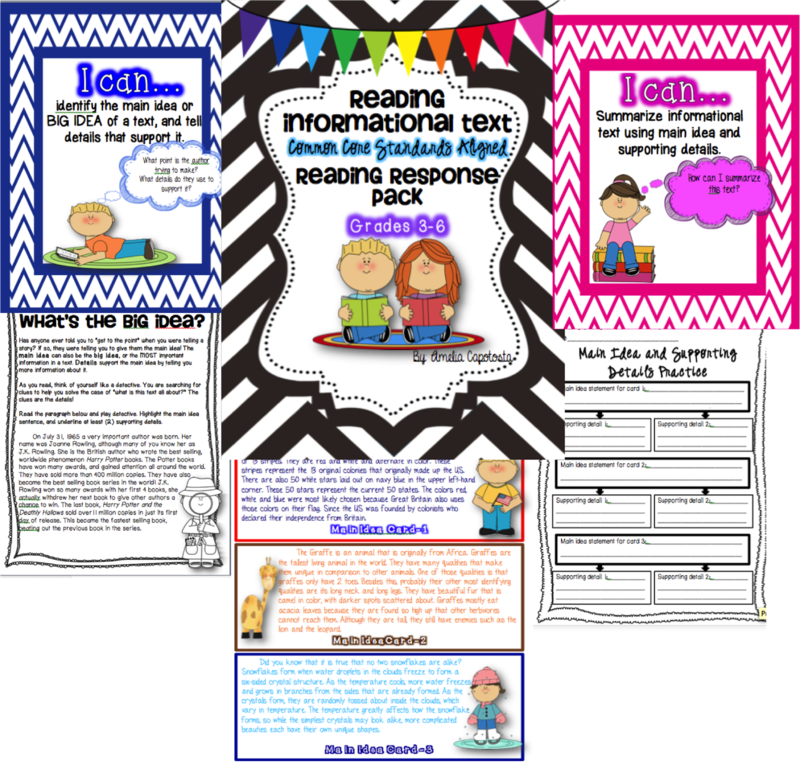 I use both of these when I use my Teaching Point of View Pack. The first is such a fun story, and has my kiddos and I cracking up. 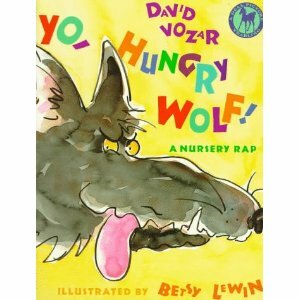 The second book, I test out my wonderful rapping skills and entertain my kiddos with 3 hilarious stories about the big bad wolf! 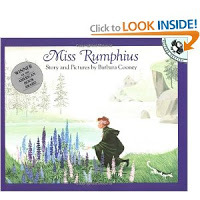 I love the lessons about changing the world and making an impact in Miss Rumphius. It is one that I think leaves my readers thinking even after the book is done. Shiloh. A classic that I can't go a year without reading. My kiddos usually join me in the tears and triumphs of this great tale! 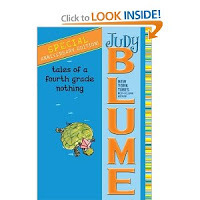 Fourth grade wouldn't be complete without our Judy Blume, Tales of a Fourth Grade Nothing. I read this one aloud to my kiddos, and this usually gets the ball rolling of them all wanting to read the whole series! Great books for engagement. 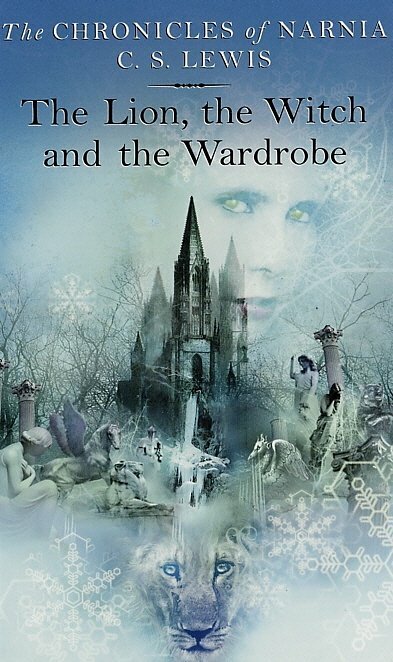 One of my absolute favorite books to read and a series that got me truly hooked on reading when I was in elementary school. I do an entire 6-8 week unit on this book towards the end of the year (which I will blog about later) and I absolutely LOVE teaching it. My students always love it, and it keeps them engaged and excited! Such a wonderful adventure to read. Thanks for following and listening everyone! Have a great Wednesday! I would love to help you edit the pack and give some feedback. My email address is: allthedots@gmail.com! I also love The True Story of the Three Little Pigs! :) I love your blog name too. Where the Wild Things Are is one of my favorite books! Thank you, Heather! I will email it over to you tomorrow or Friday when it's all done :) You're the best!! No problem! I am new to the blogging world and I'm LOVING all of this collaboration between teachers! I'm happy to help and I have a thing for proofreading! How have I not seen your blog up until now??? I saw it from Amanda at Teaching Maddeness and I'm so glad! I also teach 4th grade! I love finding more 4th grade bloggers! I hope you'll stop by our blog too!! And if you still need an editor (with a 4th grade brain) I'd love to do it!! Super cute blog, and nice to meet you!! I'm so excited to get to know you! i am so glad you found me!! I love meeting other 4th grade teachers on here!! Such an exciting thing to collaborate.. and your blog says just that :) Shoot me an email at mrscap6@gmail.com and I will send you a copy to edit, too. Thanks!! I'm so glad to meet you, thanks to Teaching Maddeness! I am also a 4th grade teacher blogger- it's so exciting to find fellow fourthies! Shilo, Judy Blume books, and the Chronicles of Narnia...swoon. I love all of those books and try to foster that love of literature in my students too. Great book picks! I especially love the books Bad Case of Stripes and Shiloh! Thank you! Literature can be so wonderful! This blog is a personal blog written and edited by me, on my own personal time. This blog accepts forms of cash advertising, sponsorship, paid insertions or other forms of compensation. © 2015 Where the Wild Things Learn. Kiersten Template designed by Georgia Lou Studios All rights reserved.